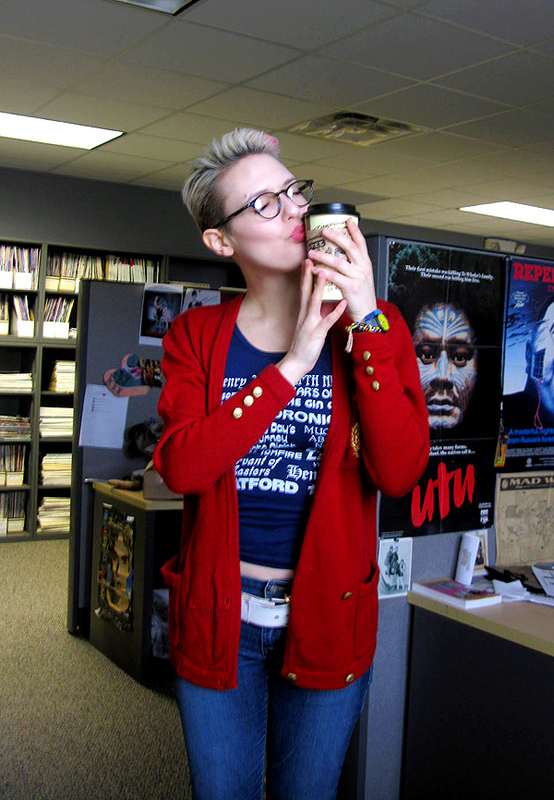 dressed up like a lady: Crossing the Streams. So I went into Zingerman's to grab some coffees for me and MC, but they were out of the coconut milk I take with said coffee (which it's possible that they only stock because of me in the first place). So despite my protestations, proprietor Allen sent me back to the office so he could run to the store, buy the coconut milk, personally add it to my coffee, and deliver it to me at work! 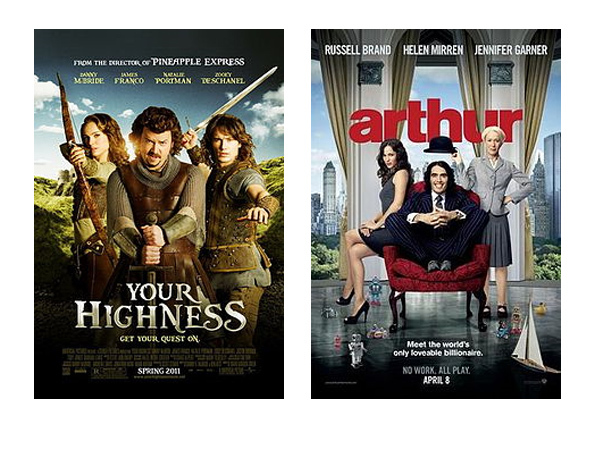 Anyway, in other news: I have a couple of reviews running today, for Arthur and Your Highness, so feel free to click the link above or the picture below, and check them out if you're curious about what the comedy scene looks like in theaters this weekend. I don't know why I've been so reluctant in the past to "cross the streams" in terms of posting about my other interests on this blog. I guess it somewhat simplified things to keep Dressed Up Like a Lady strictly about fashion. But for whatever reason, I've been more and more loosened up about the matter. So I hope you don't mind the occasional vegan recipe or coffee story. Besides, I figure if I include a picture, then technically I'm including clothes, right? Can't wait to read the reviews; I'm pretty excited about Your Highness. Gotta love Danny McBride. Aw that was sweet to grab the coconut milk for you. And I love your red sweater! I'm not too familiar with rockabilly scene in Chicago, but I'd like to be- what's the name of the band that you play in?